Winner! 2008 Tony Award, Best Revival of a Play! This 1960’s non-stop comedy features self-styled Parisian lothario Bernard, who has Italian, German, and American fiancée’s, each beautiful airline hostesses with frequent “layovers.” He keeps “one up, one down and one pending” until unexpected schedule changes bring all three to Paris and Bernard’s apartment at the same time. Join The REP each night at The Hydeaway Lounge for a 1960’s themed drink menu that is as unique and Mad Men in style as the 1960s were. Exclusively at The REP, The Hydeaway Lounge is open one hour before each performance. “This is one of the best shows we have ever had on our stage. Your stomach will hurt from laughing so hard. It’s perfect for anyone who needs or wants a laugh,” raves REP Executive Director Ovington Michael Owston. 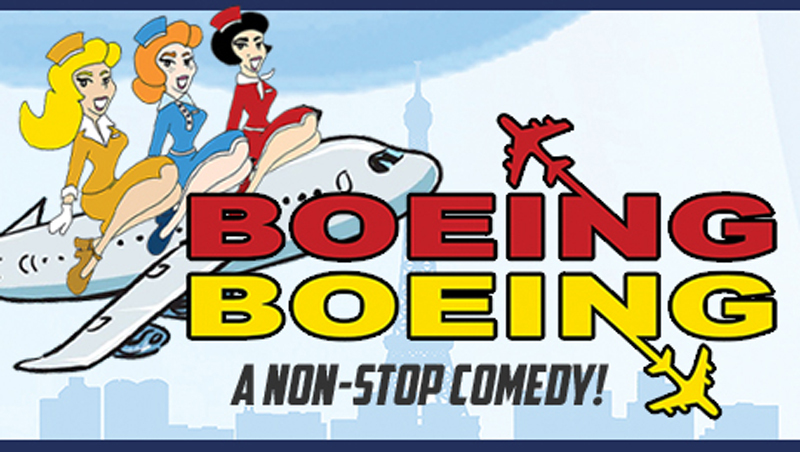 Sponsored by a generous donation from Kirsten Moomey, Boeing Boeing is directed by Christopher Chase, written by Marc Camoletti with adaptation and translation by Beverley Cross. Boeing Boeing will run March 15 through April 13. Show times are Friday and Saturdays at 8 pm and Sundays at 2 pm. Tickets are $25 for Adults and $20 for students and seniors. Group rates are available. Advanced reservations are highly recommended. There is NO SHOW Sunday March 31. For tickets, purchase online at www.repeastplayhouse.org or call 661-288-0000. Located at 24266 Main Street in the heart of Old Town Newhall, The REP is Santa Clarita’s Premiere Theatre Experience and is home to The Hydeaway Lounge featuring full-service cocktails. The warm, inviting atmosphere is the perfect place to have a cocktail and mingle with other patrons. The REP’s year-long season features six Main Stage productions.